Monty Python Lives- (Well, he's getting better)! 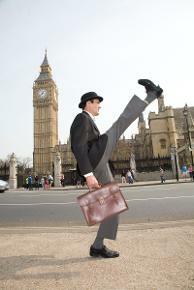 Ed Wells as John Cleese impersonator For Monty Python event entertainment. Edmond Wells as a John Cleese lookalike and impersonator. 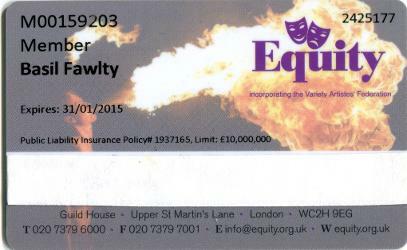 Ideal for any Monty Python themed events. PS. This New, super improved version of John Cleese, can still do silly walks, after 20 years experience, being somewhat silly, all round the world! "You know you really do look like me" Quote: John Cleese. 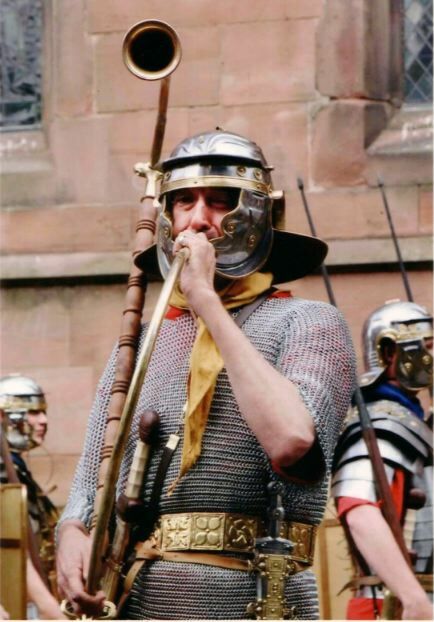 Standard bearer et al for the Chester guard.